Selling an open source product like Neo4j, always gets you into the interesting question around Licensing. How do you license your product? And then I get into a very interesting explanation on how the different versions of Neo4j compare in terms of features, license, support capability, and of course pricing. The interesting part - for some people at least - is in the licensing. Neo4j has long chose a very viral open source license for its projects and products: the GPLv3, and the Affero GPL. 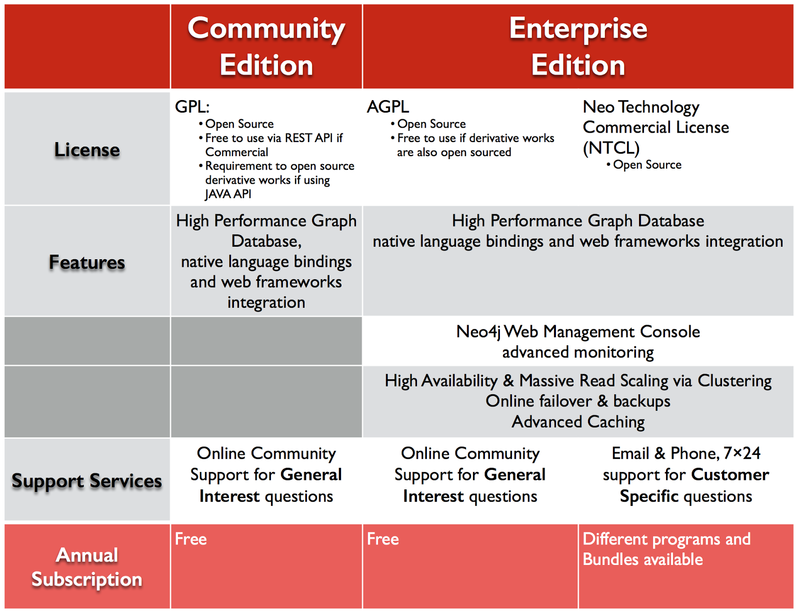 The former is the license for the Neo4j Community Edition, and the latter is one of the two licenses (Neo Technology also offers a Commercial License, with none of the restrictions/obligations that the AGPL imposes) of the Enterprise Edition. 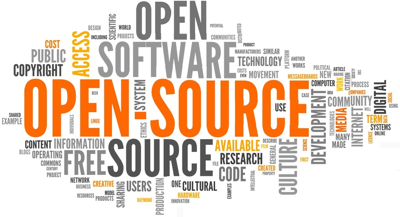 While I was researching the differences recently, I came across Choose A License, a github site that helps people choose the right open source license model. And so I decided to make a graph out of that. I created a graphgist, which you can view over here. Hope you like it - and that the information is actually useful.